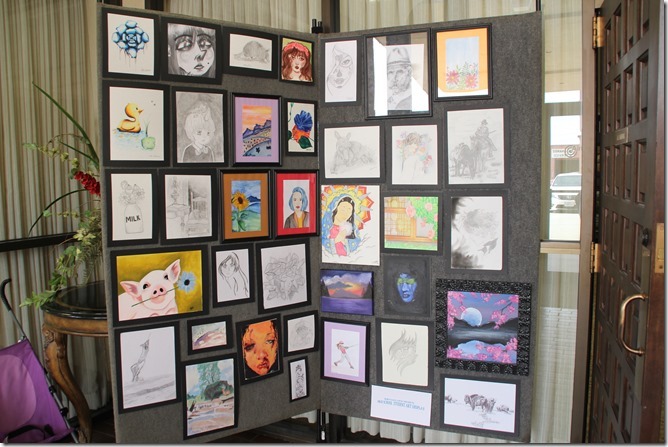 Muleshoe High School art students were invited to enter the Student Division. 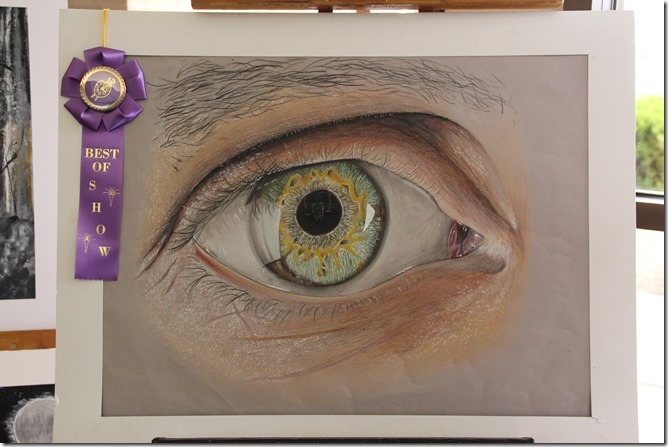 Best of Show went to Luke Leal for “Eye of the Prize,” done in charcoal and colored pencil, pictured below. 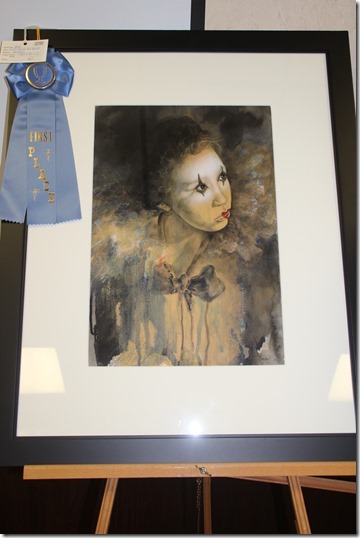 First place was Luke Leal’s “Roots,” done in charcoal and colored pencil, also pictured below. 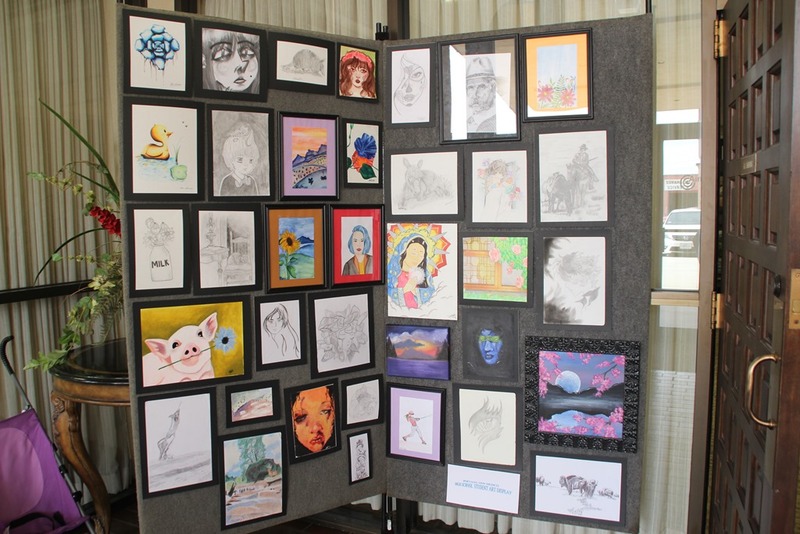 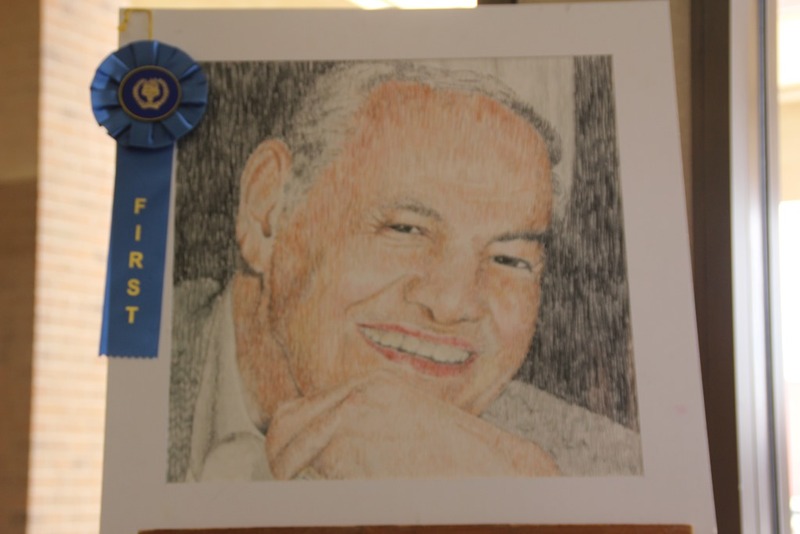 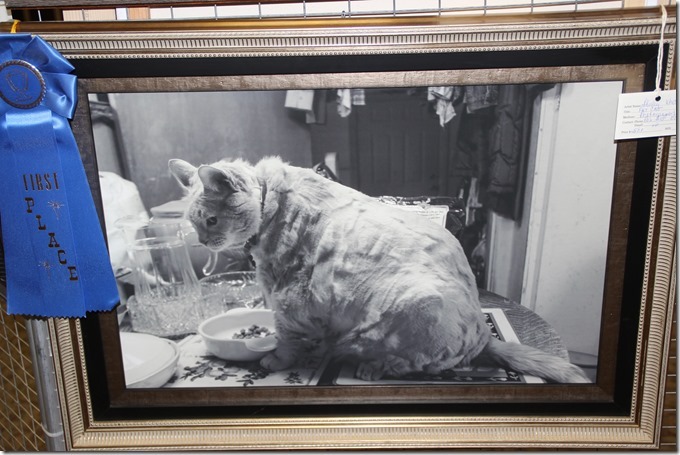 Fernando Salamanca’s “Mood” in graphite won second, and Sophie Reyna’s acrylic “Fine Dining” won third. 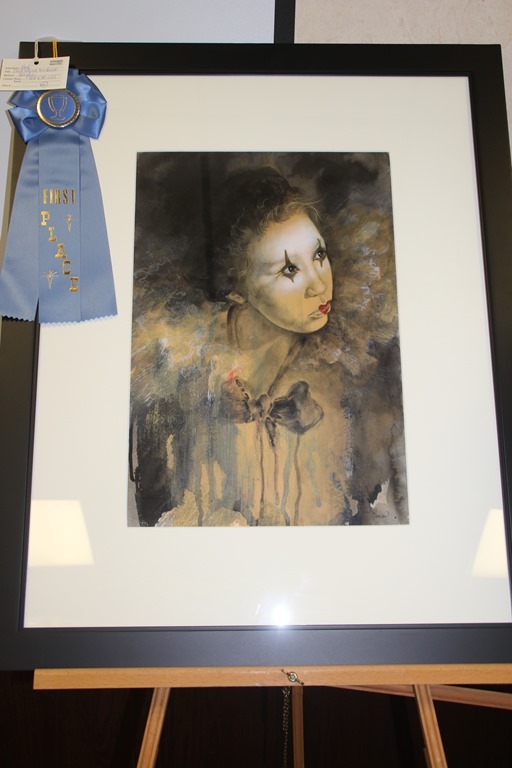 Honorable Mention went to Luke Del Toro with “Customs by Luke” in acrylic, and Ariel Gardea’s Detrimental Devotion done in acrylic. 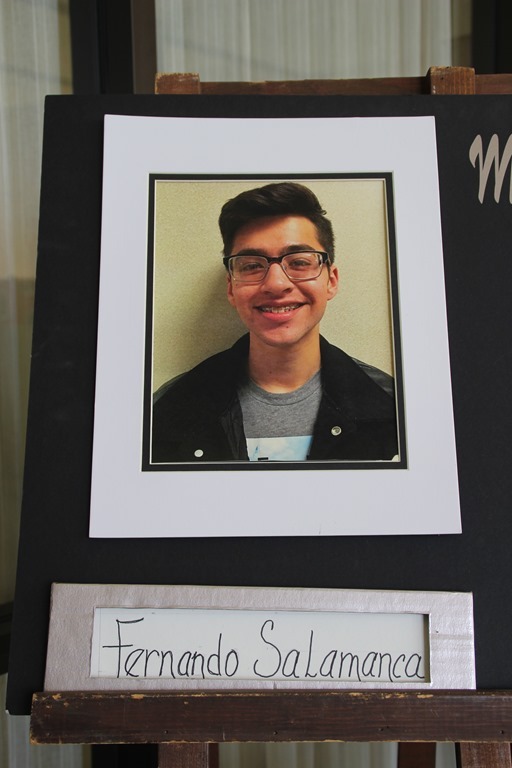 The Association gave its scholarship this year to Fernando Salamanca who plans to use his art ability in college. 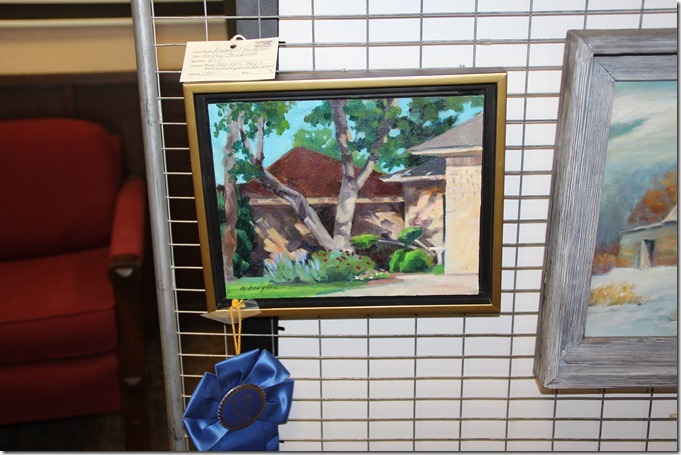 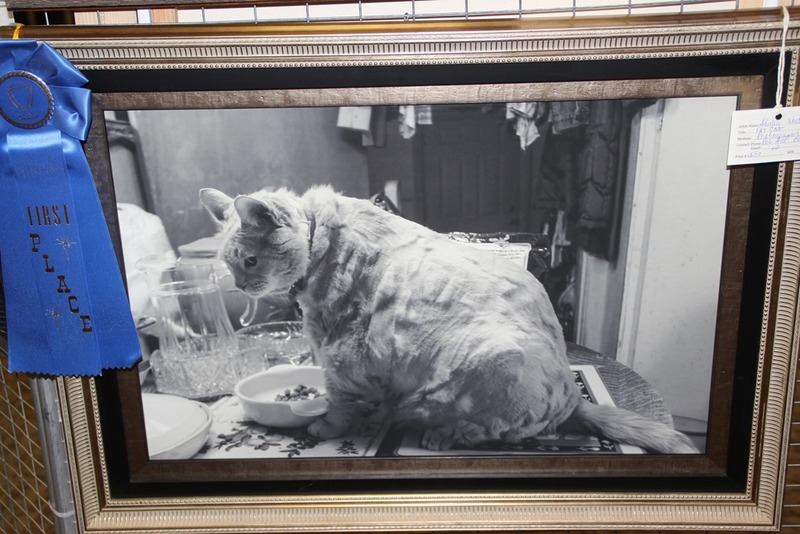 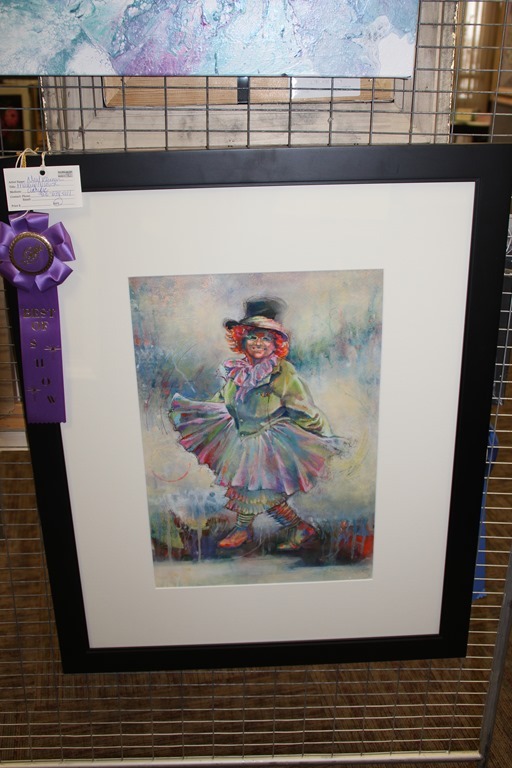 Visitors to the annual show get to vote for their favorite artwork in the show, and this year three winners were chosen. 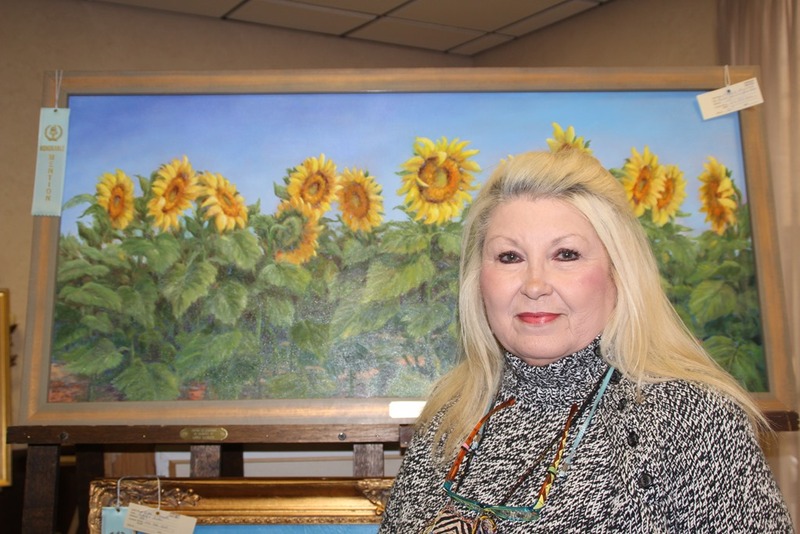 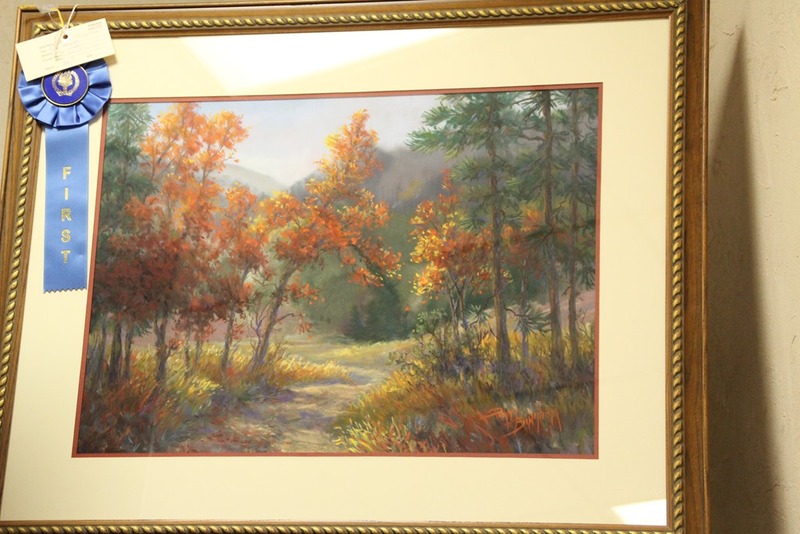 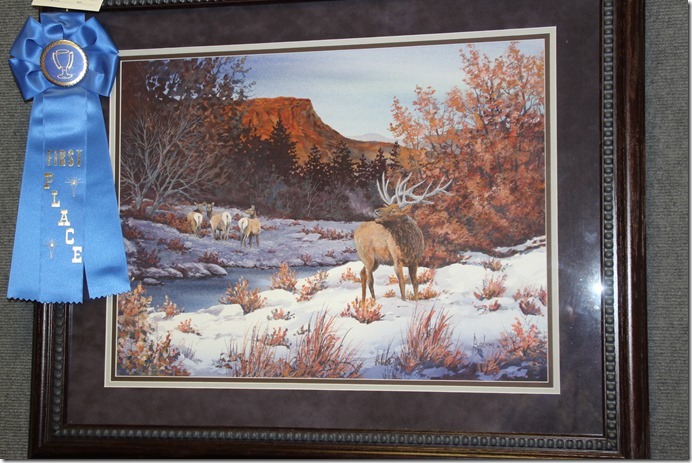 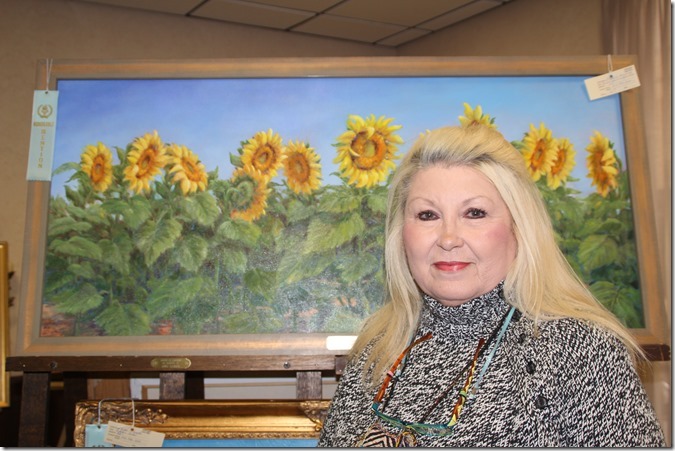 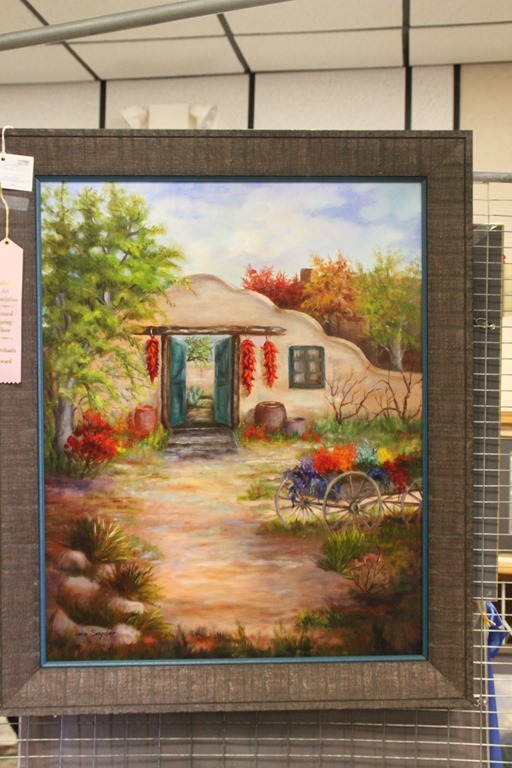 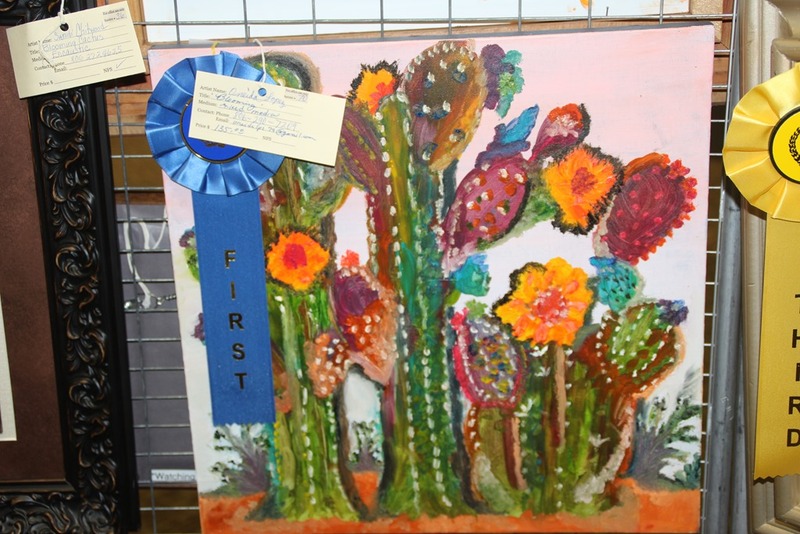 Ellis Funeral Home sponsored a cash award for first place, won by Sandi Chitwood for “Blooming Yucca.” United Supermarkets sponsored gift cards for second and third place, won by Melba Bratcher’s “Blue Eyes,” and Ann Johnson’s “I Dream of Aspens,” respectively. Terrific article! 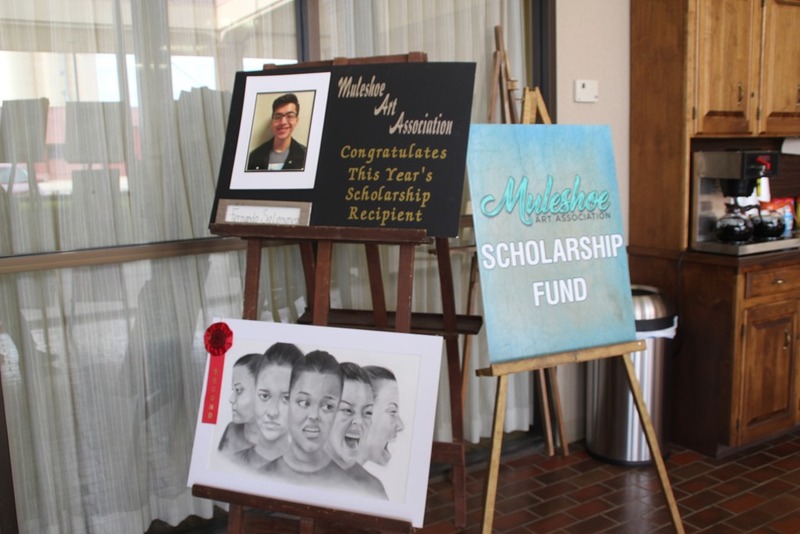 Thank you for taking the time to make the Muleshoe Art Association look good through your photography and stories.